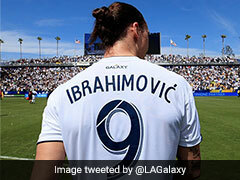 Zlatan Ibrahimovic and the Los Angeles Galaxy confirmed the Swedish star's move to Major League Soccer. 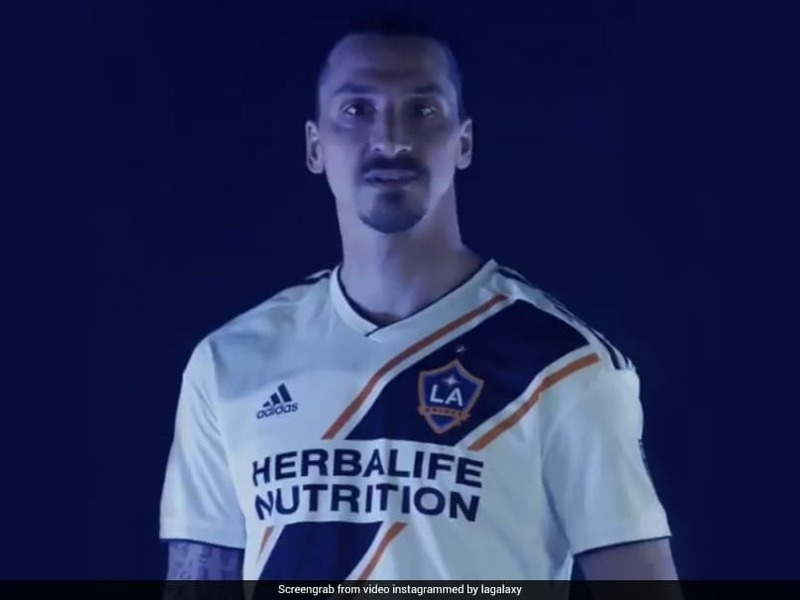 Zlatan Ibrahimovic and the Los Angeles Galaxy confirmed the Swedish star's move to Major League Soccer on Friday, announcing the deal in a Los Angeles Times advert. "Dear Los Angeles, you're welcome," the enigmatically worded full-page advert read, above Ibrahimovic's signature and a Los Angeles Galaxy logo. A photo of Ibrahimovic wearing a Los Angeles Galaxy jersey appeared above a separate story on the front page of the Times' sports section. "After being in Europe, winning 33 trophies, playing in the best teams in the world, playing with the best players in the world, I wanted to come to the U.S. and play my game there," Ibrahimovic was quoted by the Times as saying. "I wanted people to enjoy my game there and to win. And I chose the Galaxy to do that." 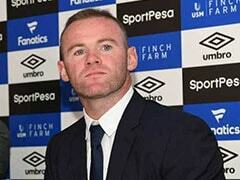 The 36-year-old's move to MLS had been widely reported on Thursday after Premier League giants Manchester United confirmed the player had been released from his contract. The Galaxy have not released details of Ibrahimovic's contract but Sports Illustrated have reported that the forward has inked a two-year deal worth $3 million. It is not known when Ibrahimovic will play his first game for the club although reports suggested he could make his debut in next Saturday's derby against Los Angeles FC. Ibrahimovic's arrival in California comes after a serious knee injury last year disrupted the end of his stint with Manchester United, who he joined in 2016 from Paris Saint-Germain. The deal makes Ibrahimovic the latest in a long line of ageing stars who have been lured to America by the Galaxy following David Beckham, Steven Gerrard, Robbie Keane and former England international Ashley Cole. Manchester United had paved the way for the move on Thursday by announcing Ibrahimovic had been allowed to walk away from the final three months of his contract with the club. Ibrahimovic's transfer is the latest and likely final stop on a glittering career which has seen the 6ft 4in (1.95m) forward collect winners' medals during spells with Ajax, Inter Milan, Barcelona, AC Milan, Paris Saint-Germain and United. As well as delivering on the pitch, Ibrahimovic's larger-than-life persona has delighted fans wherever he has played. Upon departing PSG in 2016, he famously quipped: "I came like a king, left like a legend." He was similarly flamboyant during his spell with United, saying earlier this season his recovery from his knee injury was down to the fact that "lions don't recover like humans." But whether Ibrahimovic is likely to enjoy a similarly successful spell in America remains an open question however. While the technical level of the league is below that of leading leagues in Europe, MLS remains a physically demanding arena that is likely to ask questions of a player still working his way back from injury. "Is he the physical force who dominated the top levels of the game for well over a decade?" ESPN soccer writer Jeff Carlisle asked on Thursday. "Or is LA getting a washed-up 36-year-old forward who isn't even a year removed from a devastating knee injury, and can no longer rely on his once-prodigious physical gifts?" Ibrahimovic however told the Times he is fit and ready to start. "I am ready to go now," Ibrahimovic said. "First of all, I'm there to play football. I'm not there for something else. My first objective is to play football and do what I'm good at." The Swede's arrival in MLS comes at a time when clubs are increasingly turning away from the recent practice of signing veteran European stars already into their 30s. Last year the club finished bottom of the Western Conference with only eight wins from 34 games. It was only the fourth time the club had failed to reach the playoffs, and the first time it finished with the league's wooden spoon.